The AV121 is suitable for users with a tight budget. It is capable of simplex scanning at a speed of 18 ppm at 200 dpi in color mode. Duplex scanning is not available for this model. With its slender build, the AV121 is ideal for those who want compact office equipment without sacrificing performance. The AV121 delivers fast scan rates of 18 pages per minutes at 200 dpi in color mode, providing a truly breathtaking digitalizing experience. The AV121 measures only 308mm x 156mm x 145mm. With its slender build, the AV121 is ideal for those who want compact office equipment without sacrificing performance. The small footprint, compact and reliable TRUE CCD scanner is your perfect scanning solution for front desk service, document distribution, business card management or digitalizing family photos and invoices. With a high optical resolution of 600 dpi and advanced image processing technology, you can be assured documents can be converted in the highest image quality. 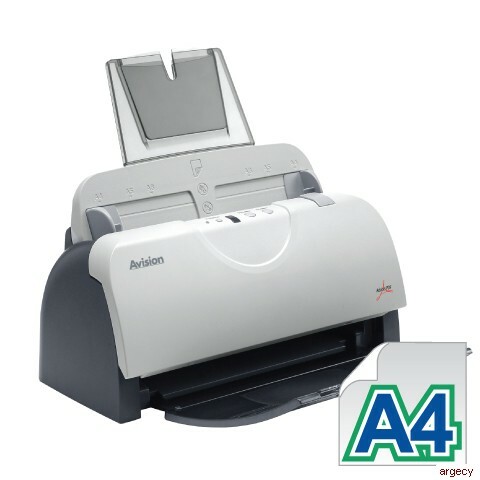 With a 50-page auto document feeder, the AV121 is able to scan document continuously without interruption. The Avision AV121 scanner comes with TWAIN and ISIS drivers, exclusive Avision Button Manager, AVScan, PaperPort 14SE, and ReadIRIS/CardIRIS.